Because of limitations due to time, location, or a lack of teachers, more and more students are turning to online lessons. Mandarin Chinese learners are no exceptions. Today, there are numerous excellent online Chinese courses. These range from the beginner to even high level business Chinese, from basic pronunciation to Chinese slang; everything you want to learn, you can find online. Over time, the quality of the lessons are getting better and better. I picked several popular online Chinese courses and have given a brief introduction and review below. Yoyo Chinese was started in 2007, more than 10 years ago. It`s easy to find free video episodes of Yoyo Chinese on YouTube that cover pinyin, grammar, and conversational lessons. Yoyo Chinese was founded by Yoyo Cheng, the main host of the video Chinese courses. She is probably the most well-known and productive Chinese online course teacher. Her courses are mainly designed from zero to upper-intermediate level learners. The free episodes contain individual knowledge points while the paid packages are organized in a systematic level by level progression. The levels contain a Beginner Conversational Course, an Intermediate Conversational Course, and an Upper Intermediate Conversational Course. You can learn from the beginning and onward. 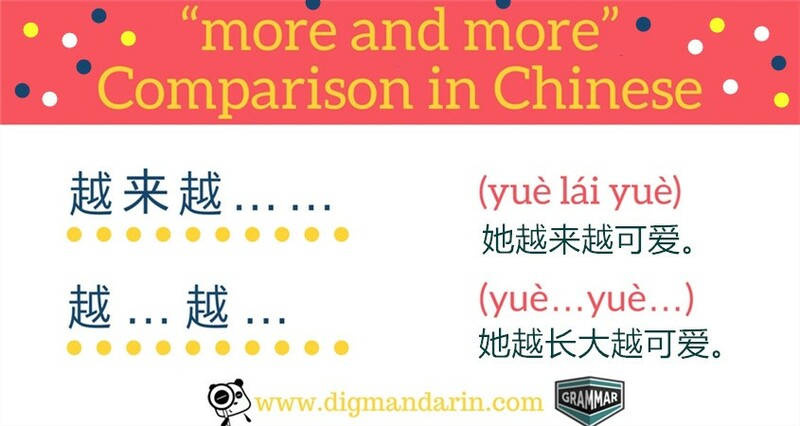 You can also focus on specific parts to study, such as the Grammar Serial Course, Chinese Characters Course, or even Chinese Learning Tips Course. There are various useful tools that you can download, such as PDF files like worksheets, e-books, and lecture notes. The Pinyin Chart of Yoyo Chinese even contains videos for each featured letter. Yoyo has clearly put a lot of time into how to teach Chinese. The videos break down the topics very clearly. Since Yoyo was working as a TV show host in English, her language background and hosting style are outstanding. Her English expressions and accents are better than many other Chinese native teachers. The Conversational Courses are packaged from beginner level to upper intermediate level. In each level, hundreds of videos are included as well as quizzes and practice parts. It`s recommended to take this course so that you can lay a good foundation, especially on grammar. Unlike other online character course, this course is more systematic and includes more than 300 essential characters which equals to HSK level 2 requirement. Furthermore, you can use interactive flashcards to type and review the characters. Each character has its own images & animations, memorable explanations, with story and cultural notes, which can help you memorize the characters in a better way. All of these courses are comprised of video lessons, audio reviews, flashcards, and quizzes. The main serials courses are all over 100USD. Other side courses just cost 29USD. Class 101 serial courses include not only Mandarin Chinese, but also Cantonese, English, Korean, and other languages. 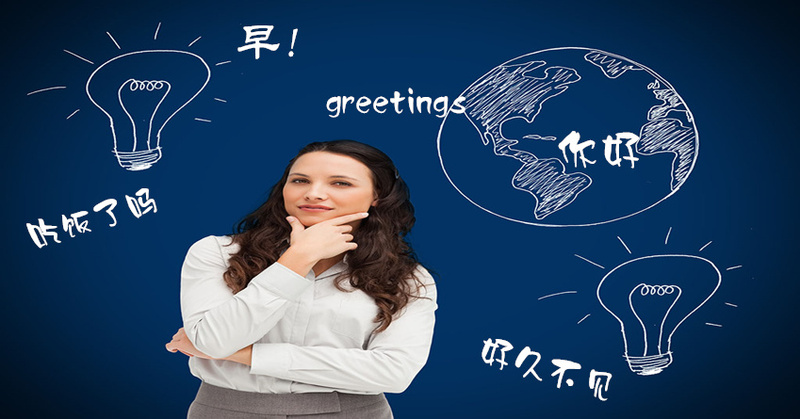 The ChineseClass101 course targets your language levels. Choosing your own level is one of the registration steps. Once you enter your home page, you can start your course and track your learning steps. The level you choose after registering determines your corresponding content. You can also add a pathway through the library to enrich your learning content. Besides the pathways, you will also have the latest lessons on the page so that you can learn something new. Unlike other video course websites, there are many audio lessons, but the video lessons are also plentiful. In each lesson, there are simplified and traditional Chinese characters to read. Pinyin, lesson notes, and translations are also presented. You can also take lesson notes online if you need them. The free courses are mainly from elementary to intermediate level. Each level includes different categories, such as listening comprehension, reading comprehension, and everyday dialogue. There are also vocabulary and culture courses for you to pick from. There are several paid course packages. If you subscribe to the premium courses, you can get different paid services, such as personal word banks, bonus vocabulary, convenient downloads, and even professional assessments. ChineseClass101 is paid for by the month. The 1 USD dollar special offer is only for new members. It`s more like a trial month for you to see if this course fits your needs. You can also just skip the trial step to enter your home page to try the free courses or upgrade to premium membership. The monthly prices are all below 30USD. ChineseFor.us is a relatively young website which was founded by Lili and Chuck who are now based in the US. The main host is Lili herself, though sometimes Chuck appears as a cartoon figure. You can also find many free lessons on YouTube. The lessons of ChineseFor.us are not very long. The knowledge points are divided into small units. The advantage with these kinds of lessons is they are easy to digest and just take you a few minutes. The main content of this site now focuses on the beginner level. There is the elementary introduction course, beginning & HSK 1 level course, pinyin drills course, and the common words learning course. The teaching style of Lili is clear: relaxed and simple. It`s recommended to use your spare time to watch her videos. For beginners, the Chinese Characters Writing course from Chinese For.us is a really good start. With this course, you can learn how to write from zero to thousands of characters. With this comprehensive guide, you will find writing in Chinese can be quite easy and understandable. The course’s clear instructions will show you the inner logic behind character construction, and will teach you the HOW’s and WHY’s behind the Chinese writing system. The payment of ChineseFor.us is also by the month. Unlike ChineseClass101, there are 3 time-periods to choose: 1 month, 6 months, and 1 year. The prices range from 19~110USD. Save 15% on a subscription to Chinesefor.us with the promo code “DigMandarin”. Most of the online Chinese courses are taught by female teachers. Litao Chinese is founded by two male Chinese teachers who are now living in Shanghai. The main host is Zheng Tao who also designs and creates the content. It seems that Litao Chinese targets to make all HSK level tutorial videos. Currently, the pronunciation course, HSK 1, and HSK 2 have already published. Other levels will follow. The teaching of Litao is more of an academic style which requires you take the lessons seriously and have quite a bit of time to learn. There are 20 lessons in each of the two beginning levels. Each lesson covers one topic, such as discussing dates, talking about the weather, ordering takeout, and expressing how you feel, to illustrate the related HSK required grammar points and vocabulary. This kind of structure is practical in both conversational and academic aspects. The related audio and scripts are attached to download for self-practice. There is also an online quiz to check your understanding for each topic. The prices are relatively high compared with other online courses. Each level costs about 200USD. 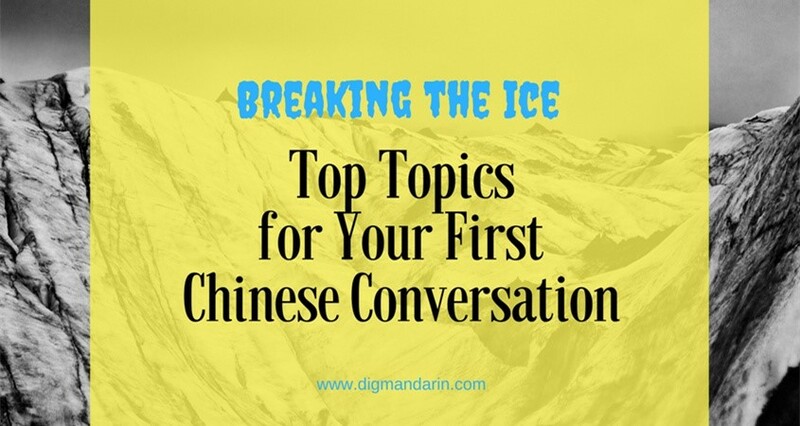 DigMandrin is an online comprehensive Chinese language platform which focuses on collecting all useful Chinese learning resources. Besides the featured language collections of articles and videos, there is also an online course channel. Learners from elementary to advanced can discover courses suitable to their level. Different from other course websites, DigMandarin provides various courses from different teachers or websites. It`s very convenient to find your suitable course in one place. Not only videos are available, but also a complete net of Chinese language learning. Take the HSK serials course as an example: besides the HSK mock paper analysis courses of each level with free downloadable papers, you can also find all the information about HSK tests here, including the test introduction, tips and suggestions, registration and test dates information, HSK corresponding vocabulary lists, reading and listening practice materials, and more. The special subject net keeps improving and is constantly updated. Also, there are many teaching styles at DigMandarin. Whether you prefer the relaxed, easy style or a serious, academic style, there are many different hosts and courses for you to choose from. There are different kinds of additional material for you to download. Each course has its own corresponding downloadable PDF key notes. Some courses also provide online quizzes to test your learning results, or a free e-book to make your learning more convenient. 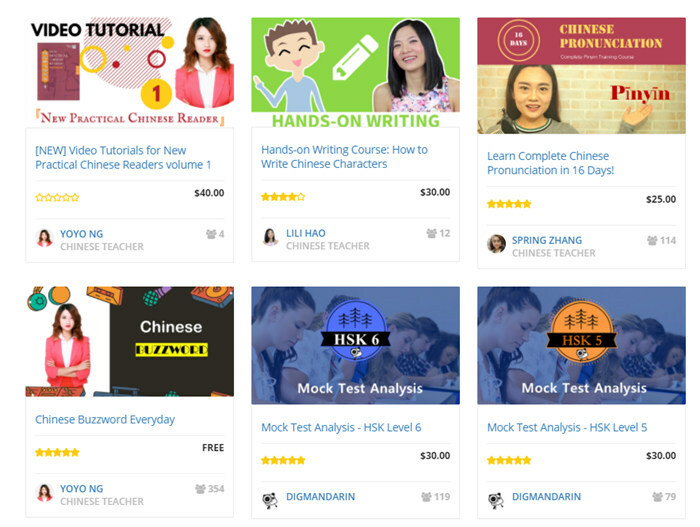 It includes all kinds of courses, such as pronunciation training, Chinese characters threshold, all-level grammar explanation, HSK mock papers analysis serials, survival conversational Chinese, classical Chinese textbooks, video tutorials and lots more. DigMandarin’s content is updated all the time. Thus, you can always find something new and worth learning here. Some courses have a price, some are free. There is no limit to access the courses you wish to take, so that you can feel free to learn and review them at any time. For the paid courses, they are all at reasonable rates, between 10-40USD. My 11 year old daughter was born in China but now lives in the USA for four years. She still speaks at a very basic level but is willing to continue. Can you recommend any courses or apps that keep her on a set schedule that I can track if I give her some goals?